Interested in hosting a home workshop? Invite 6 guests who pre-pay through the Eventbrite link, and you receive your workshop for free. 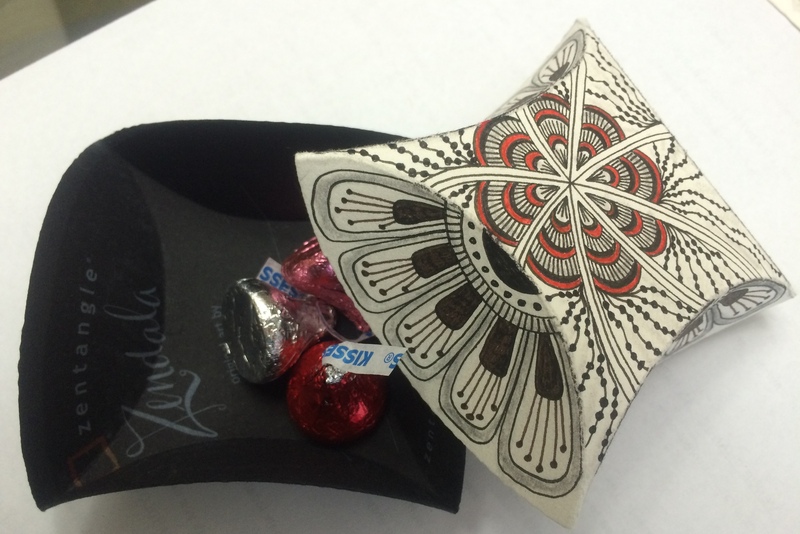 Invite 8 guests and also receive the full-size Zentangle® kit as your gift! TANGLE & TALK – No Charge: Once you have taken the introductory workshop from a CZT, you are invited to participate in our monthly TANGLE & TALK sessions which are held 10 AM to NOON every last Saturday. REGISTER HERE. Bring your supplies, sit down and tangle, visit and make new friends. We have a great time learning from each other and sharing ideas and tangles! The “Wichita Tanglers” are growing…come join us!! YOU MUST REGISTER – You must register for these sessions (it helps us to know how many will be attending so we have appropriate seating). FINAL FRIDAY, APRIL 29, 2016, VISIT WICHITA, 515 S Main, Wichita, KS. Starting at 6:00 pm. 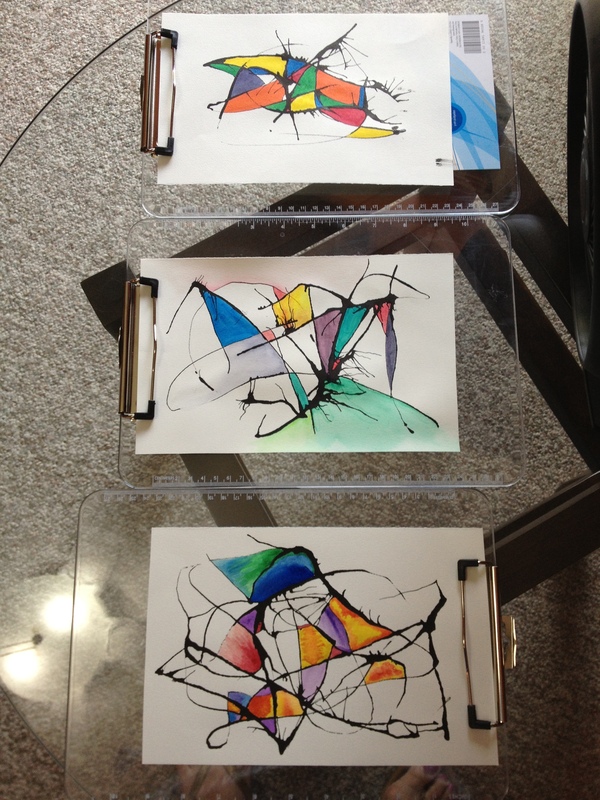 Please join us as we exhibit Zentangle Inspired Art for your enjoyment and for sale. Light refreshments will be available. In this 2-hour Zentangle Workshop, students learn the basic principles and guidelines for the Zentangle art form. 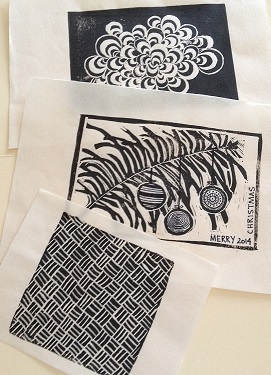 Brief history of Zentangle origins, as well as the terminology used in this art form. You will create beautiful images from repetitive patterns (no “artistic” talent or background required). 4-6 Zentangle patterns will be taught, emphasizing deliberate strokes that relax, helping you to learn how to slow down in our busy world. You will soon discover that what you thought to be complex and not possible can be broken down into steps that can easily be mastered. You will complete a finished project and have the ability to produce additional projects on your own. 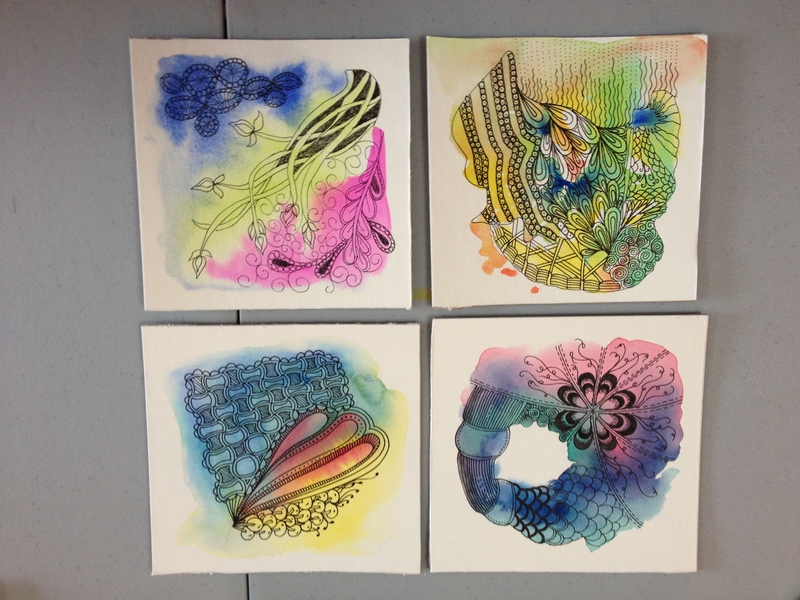 So, you’ve taken a beginning Zentangle class and now you’re wondering…What’s Next?? In this 2+ hour class we’ll talk about the theory behind the string and you’ll learn techniques to create a string without fear or hesitation. You’ll also learn about embellishments which can help provide your tangles with a “pop” and deeper richness. 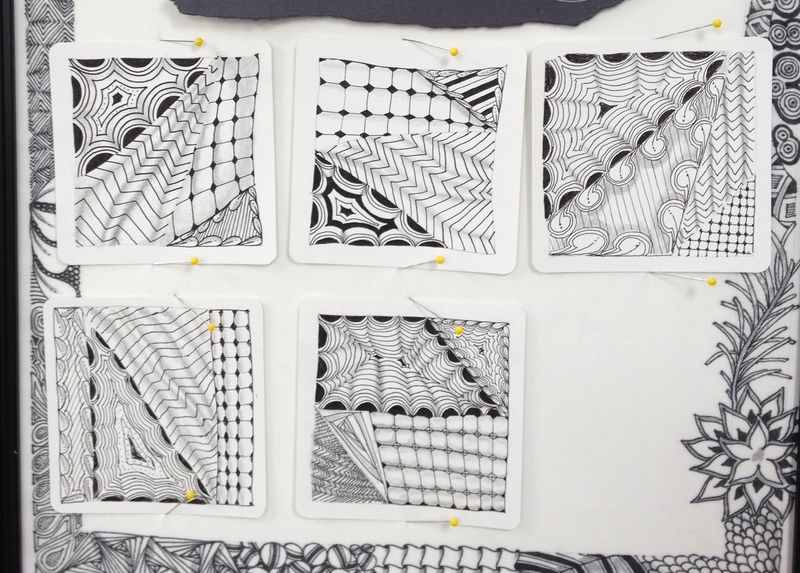 Students will begin to understand the many characteristics of Zentangle and how they can be incorporated into art and life. Many benefits of creating Zentangles. New Zentangle patterns will be introduced along with Tanglenhancers (embellishments to hel”pop” your work). You will begin to appreciate and admire completed projects (your own and others). Hesitant to shade your Zentangle artwork?? Shading is the icing on the Zentangle cake. 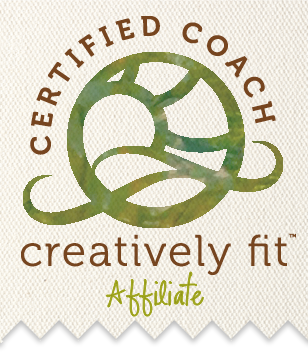 ** It brings your creation to life by adding depth and dimension to your work. This class will provide you with a variety of shading techniques that will bring a deeper richness to your work and your Zentangle experience! 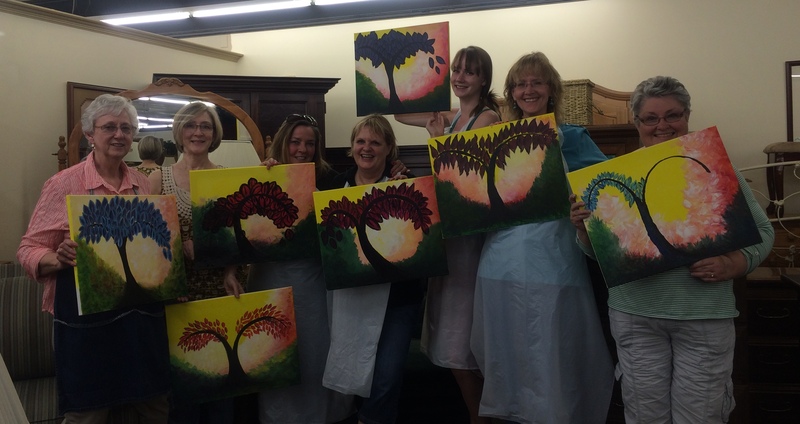 This workshop includes both classes, String Theory & Embellishments along with Shades of Gray! Don’t miss out on these two classes that will help take your Zentangle skills to the next level. Workshop description as noted above. Learn to create wonderful tiny trinket boxes using Zendala tiles. We’ll utilize pre-strung Zendala tiles for this project. Pencil and black Micron 01 pens will be used for the white Zendalas, while white pencils and pens will be used on the black Zendalas. Makes for great gifts when you need something quick and easy. NOTE: Please bring your Beginner Zentangle kit with you (pencil, black Micron 01 pen). All other materials will be provided. 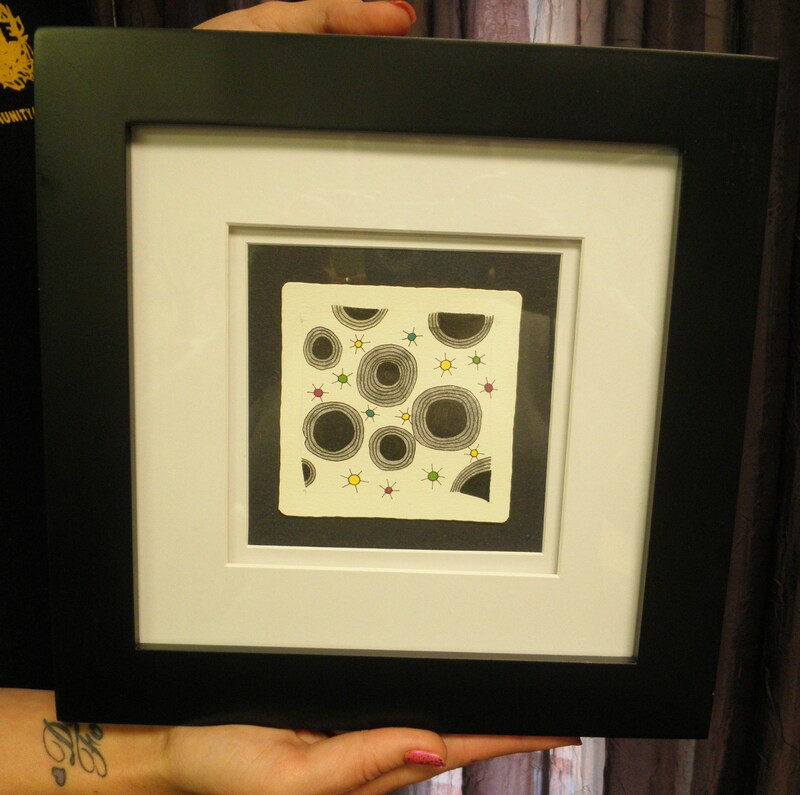 You’ll learn the secret to using a ready-made frame and mat to frame your completed Zentangle (or adjust for any other picture). 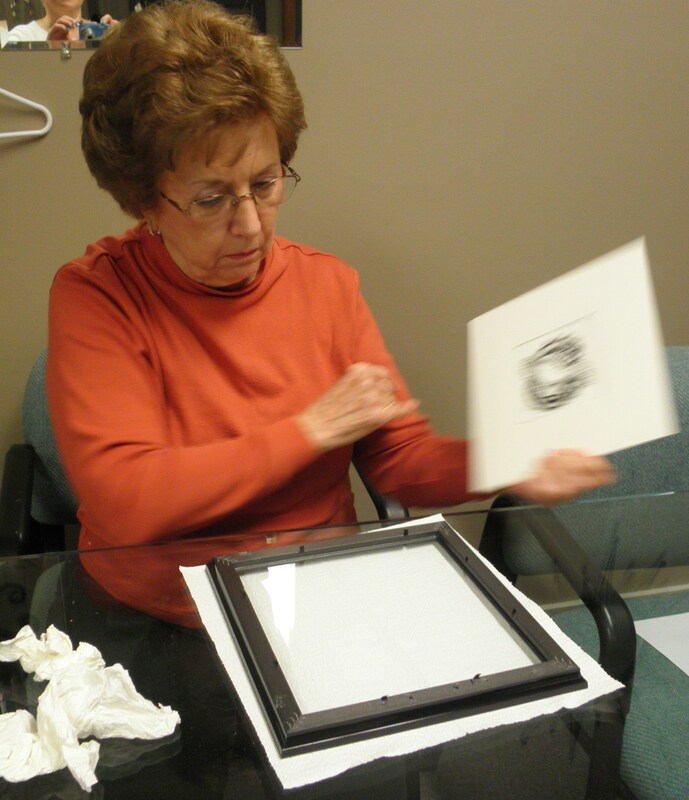 Learn how to back it and make it look professional for a fraction of the cost of a custom-made frame. You do not need to have taken a Beginner Zentangle Workshop for this class. Anyone who has a 3.5″ x 3.5″ picture to frame can attend and learn. 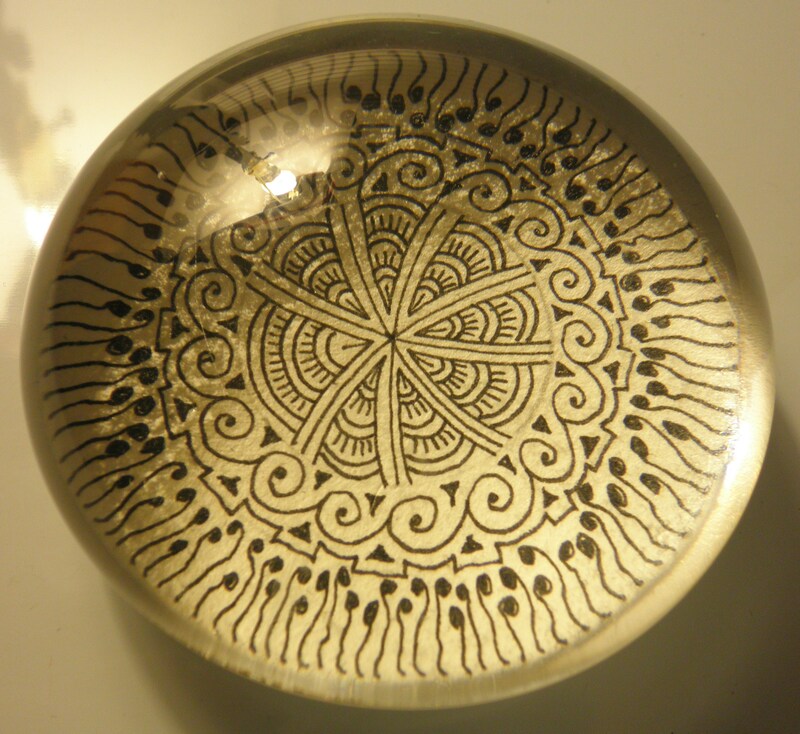 Create a beautiful paperweight with a Zentangle you will complete in the workshop. A wonderful gift to offer to a loved one or just to have for yourself! This workshop is limited to a class of 9. Sign up now so you don’t miss out! This workshop is a delightfully informative, creatively transformational workshop to help you find out what you want to be, do and have! 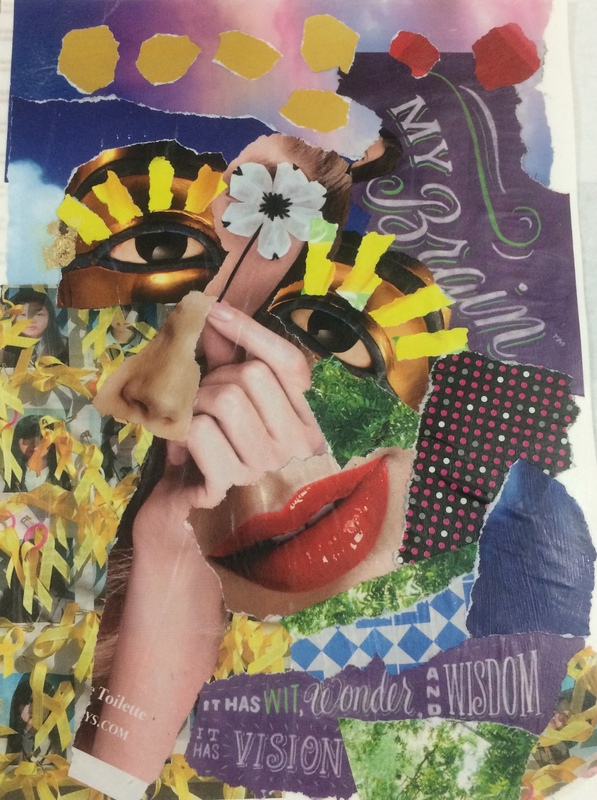 Join us as we pour through magazines for images and words to create a visual representation of all the things you want to be, do, and have in your life. 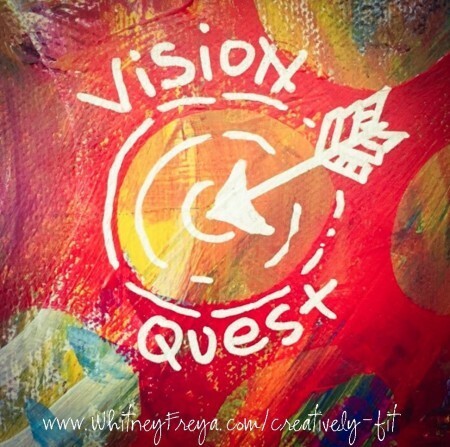 A powerful tool to remind you every day of your deepest desires. All you need to bring is yourself, SCISSORS, and a willingness to learn. All other materials are supplied, including light refreshments. You are welcome to bring pictures, magazines, or other materials that you may want to use during this time if you’d like. Let’s have fun and DREAM!! This workshop is part of the VIVA ART & LIFE series. Tangled art papers can be used in large format as framed abstract art, in smaller pieces in book construction or even smaller pieces for cards, collage, or ATCs. 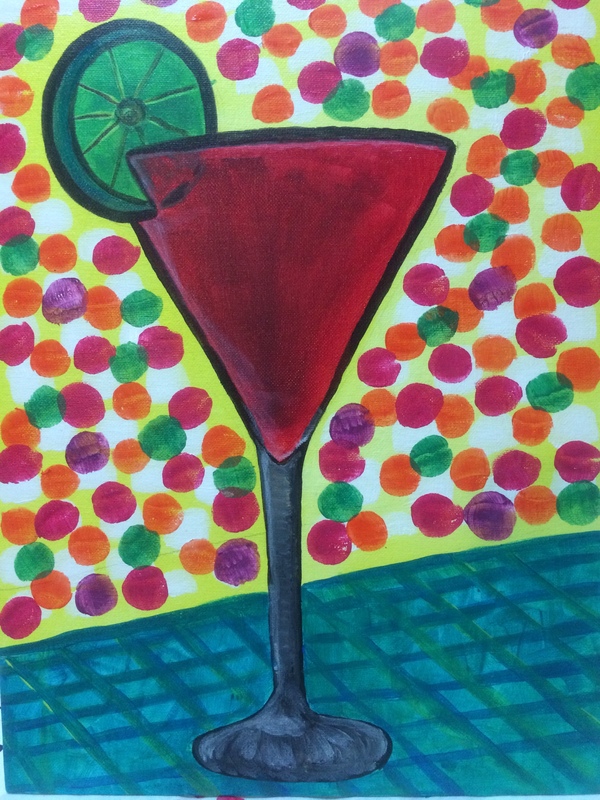 Have some fun with color! PLEASE NOTE: BRING SAMPLE SKETCH OF A MONOTANGLE NO LARGER THAN 4″ X 6″ TO CLASS WITH YOU. I decided to go to the 2/11 workshop at the library. I called and they said registration doesn’t start until Jan. 25. Thought I’d let you know that I’m planning on that one, at least! Thanks Bonnie for the info on your September workshop. At this time I’m planning to attend. Drats and double-drats! I won’t be in town on Juky 6th. Will you repeat that session another date? I’m sure it will be repeated down the road! We are looking forward to class this coming Sat. the 22nd at 10:00. Send me your address when you get a chance. Thanks! Brandi Thorne. PS if weather is super bad, we may have to reschedule.